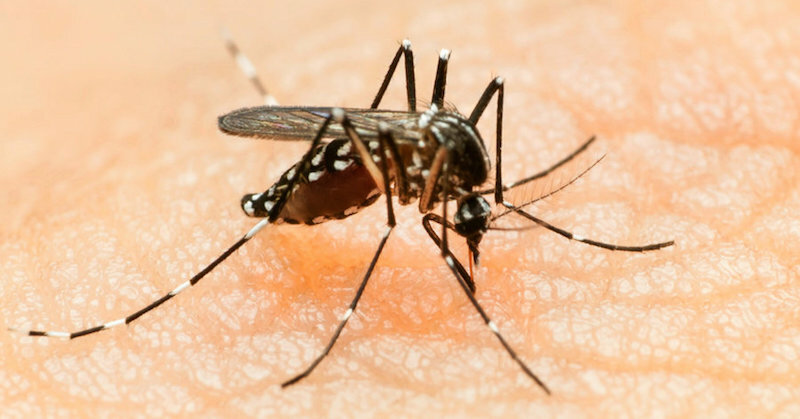 The Zika virus disease is caused by a virus that is spread primarily through the bite of an infected Aedes mosquito. Other diseases spread by the same mosquitoes are yellow fever, dengue and chikungunya, with similar symptoms. Aedes mosquitoes are usually found in tropical and subtropical zones. The word “aedes” comes from an ancient Greek word “odious” meaning “unpleasant”. This mosquito specie is easily identifiiable, as they have black and white “stripes” on their body and legs. Their peak “feeding” times are early in the morning and in the evening before dusk, so be careful when you’re out during these times in a tropical place. Use a non-toxic insect repellent. Some of the common symptoms when infected by an aedes mosquito are: fever, rashes, joint/muscle pain, headache and conjunctivitis (red eyes). Symptoms of the Zika virus disease may last for several days to a week but rarely require hospitalization, nor do they cause death. Although the symptoms are not death-threatening, exposure to it and the severity of infection depends on the immune system of the infected individual. I have always taught that viruses and disease-causing pathogens like to “set up homes” in bodies that are highly acidic. A body that is low in immunity often “hosts” these viruses and symptoms often get full blown, and can become severe when left untreated in “weak” bodies. There are a few things you could do to improve your immunity and increase your body’s resistance to not only the Zika viruses, but also other disease-causing pathogens. Putting these into practice doesn’t mean that you won’t ever get sick, but you will definitely get sick a lot less; and when you do get sick, recovery is easier and quicker. These steps really should be made a lifestyle, not just as a means of avoiding certain viruses. Make eating and juicing fruits and vegetables a daily affair to start building your immune system. Eat whole, natural foods that are rich with nutrients so that your body can start to repair and regenerate your cells back to health. Eating healthy also means NOT eating the foods that harm your body. Here are some other examples of foods to avoid. Then observe these basic rules to get you to amazing health. If you are one who rarely eat fruits and vegetables, then you surely have a lot to catch up! If you’re mostly a meat-eater, then chances are your body is “acidic”—a perfect environment for hosting disease-causing viruses. If you find difficulty in eating fruits and vegetables, drinking freshly-extracted juices is an excellent way to get more of the natural phytonutrients into your body to build up your immune system, and to “alkalize” your body. Viruses and pathogens don’t like an alkaline body and they don’t stay and multiply. 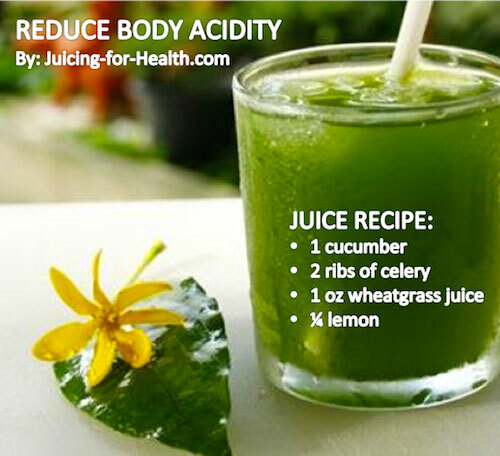 Freshly-extracted green juices are most alkalizing, and they don’t have to taste unpalatable. Here are some tips on how to make your green juices taste good. If you have been reading about healthy living, you will understand by now that a big part of our immune system originates from our gut. Having a healthy gut will ensure a strong immune system and this is the place to start if we want to rebuild and strengthen our immunity. A healthy gut is one where the beneficial bacteria are dominant. They are our first line of defence against any viruses, bacteria and pathogens that get into our body. The beneficial bacteria is like the army that guards the body. A strong, healthy army will be able to fight the pathogens (disease-causing organisms) better. Eating fermented foods is a good way to strengthen the immune system as it is rich in healthy bacteria that fight the harmful pathogens. And, having a very healthy gut is also a good way to prevent disease-causing viruses to “set up homes” in your body and causing health problems. Read more about why probiotics are so important and what you can eat to build your gut health. A majority of people are not drinking enough water daily. Understand what is the minimum amount of water you need per day, and then drink more. When drinking sufficient water daily, it helps your body to flush out toxins, maintains regularity, strengthens the immune system, improves body alkalinity and circulation. Never underestimate the damages that stress can do to your gut and adrenals. Occasional stress may be normal, but prolonged stress may cause undue damages to your body, through your gut. A poor gut is a poor immune system. With a poor immune system, your defence system is weak and not able to fight off disease-causing viruses and pathogens. Whenever you can, add herbs and spices in your diet. Many of them have antiseptic effects, that are antiviral, antibacterial, antifungal—properties that prevent pathogens from staying and causing trouble in your body. There are too many herbs and spices to mention here, but here’s a good place to start. It’s a journey when you start using them and trying them out to see which ones you like. Make it a lifestyle! Living this healthy lifestyle, not only prevents your body from “hosting” disease-causing viruses, it also helps to greatly enhance your immune system to prevent many chronic diseases. You really have nothing to lose to live healthy! In case you have already been infected, it may be helpful to immediately implement the above practices by removing harmful foods from your diet, and replacing them with Nature’s whole foods to reverse the symptoms.